Never has a dessert been easier. Never has a breakfast been more delightful. 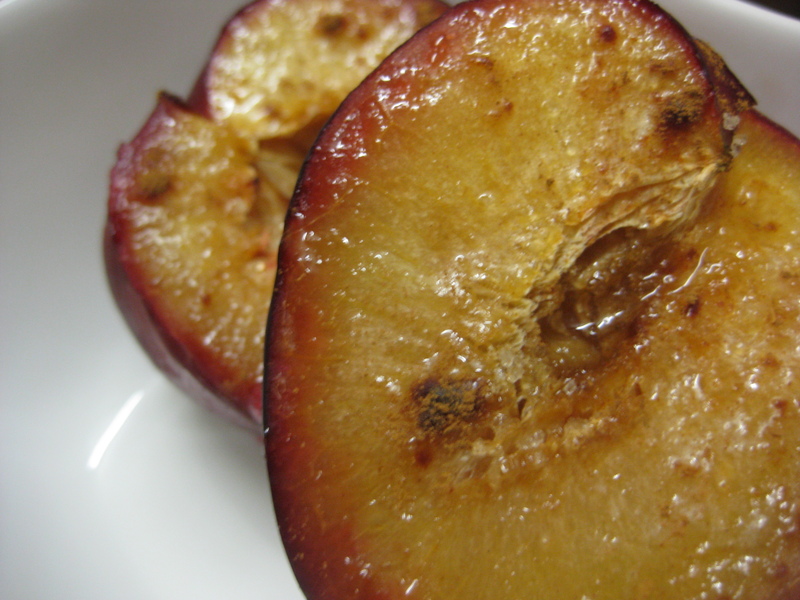 Sprinkled with raw sugar and cinnamon and roasted in the oven, these beautiful plums are delightful as an accompaniment to some homemade vanilla bean custard ice cream or dessert, or aloft oats for a satisfyingly sweet breakfast treat. 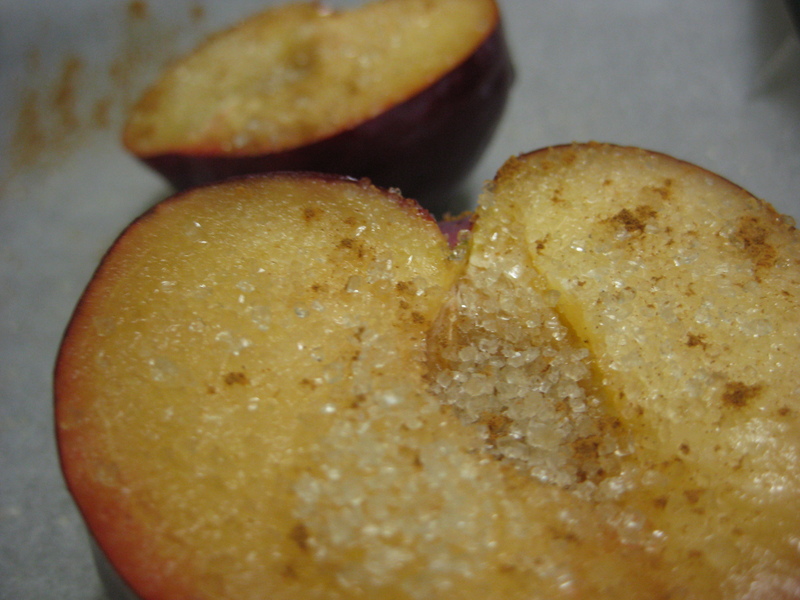 This entry was posted in Breakfast / Brunch, Dessert, Quick and Easy and tagged breakfast, dessert, plum, roasted. Bookmark the permalink.